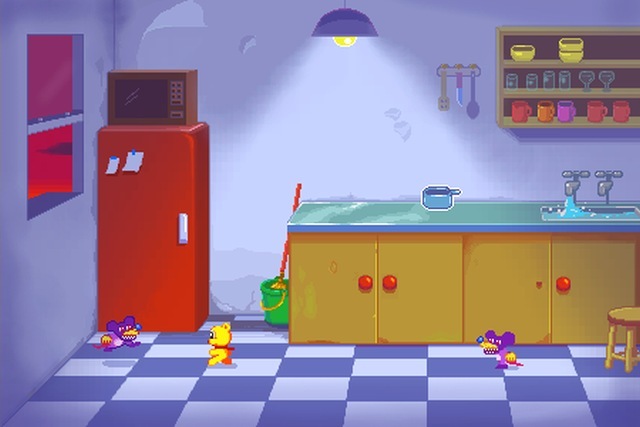 Pabagames recently contacted us to let us know about their rather adorable and cute, retro inspired game that's currently going through a Steam Greenlight campaign. In truth, it has inspirations based on Wonder Boy and Rainbow Islands, but also inspired by PC Shareware games such as the platformer Duke Nukem. This is their latest game from the co-creator of Jasper's Journeys - ' Mogwash '; in which you need to save Sludge City from looting, polluting gangsters and eat lots of delicious mogsnacks on the way. Mogwash is a pile of retro goodness all squashed into one ginormous pie! 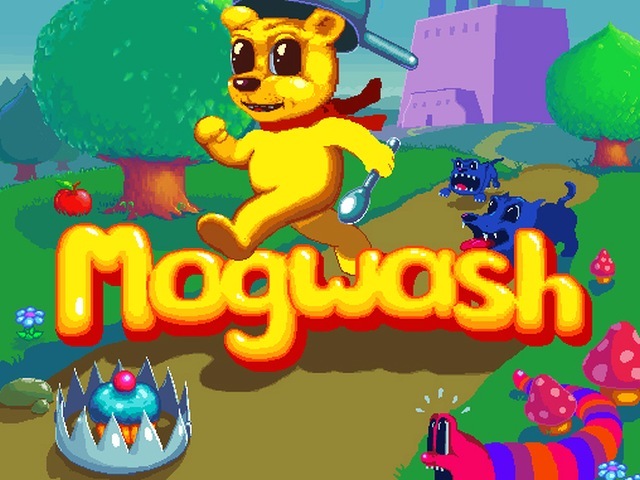 Although the game may not appeal to hardy gamers looking for the next bloody fix, I can see Mogwash appealing to families and more especially those of you who remember those fantastic classics of Rainbow Islands and Wonder Boy. It also looks like this game could well keep you busy when it's due for a March 2016 release, as it will feature over 30 sprawling levels over a range of 8 deliciously illustrated stages, dozens of extra minilevels and secret levels and those all important secret pickups and hidden doors to bonus arcade-style rooms! Certainly a game worthy of a Steam Greenlight thumbs up, even if it does look seriously cute!